Colbourne was born in 1864 in Cuddington, Cheshire and studied at the prestigious Repton School, along with Basil Rathbone, where he started the first Dramatic Society there. After Repton, he studied at Oxford and became the President of the Oxford Union Dramatic Society, which catapulted him into his distinguished career. 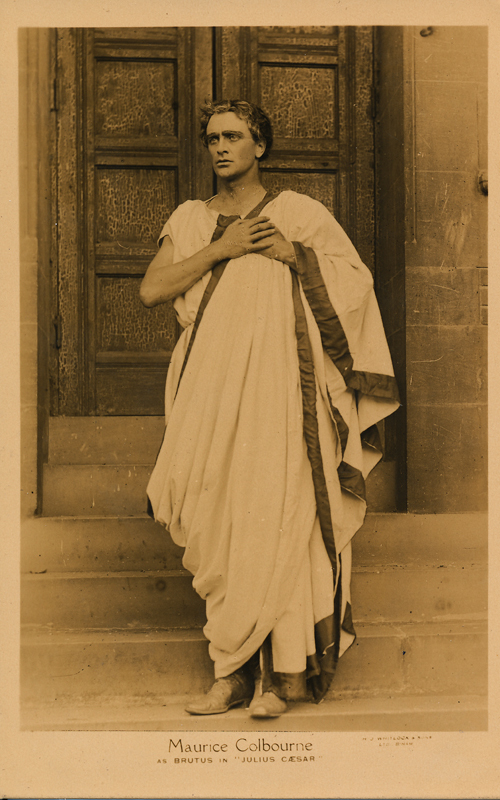 Colbourne played in twenty-two Shakespeare plays at Stratford-upon-Avon between 1921 and 1925. He became Governor of the Shakespeare Memorial Theatre. One of his earliest parts in Shakespeare was as Polixenes in The Winter’s Tale. He began his film career in 1932. He played in twenty-two films and television productions, active until 1964, a year before he died.